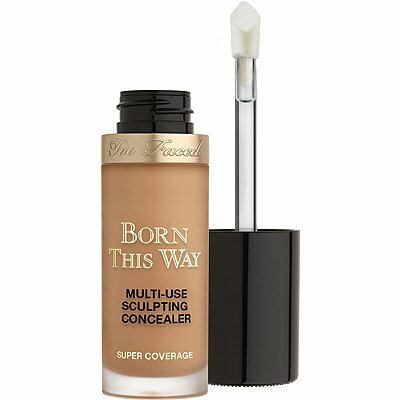 Too Faced Born This Way Super Coverage Multi-Use Sculpting Concealer is a hydrating, full-coverage, weightless 4-in-1 concealer that conceals, contours, highlights, and retouches. Smooths and sculpts skin for natural-looking coverage. Infused with coconut water, alpine rose, and hyaluronic acid, these skin-loving ingredients come together for crease-free, weightless wear that’s so naturally flawless they’ll think you’re Born This Way.